Greetings from the Gastein Valley! To end the year 2018 and remind us of what we achieved this year, we are happy to share the EHFG 2018 Conference report with you. In the 21st EHFG “Health and Sustainable Development – bold political choices for Agenda 2030” was the broad theme that set the scene for forward-looking and solution-oriented discussions involving the European Commission, civil society representatives, key opinion leaders from the academic world, and private sector stakeholders from the pharmaceutical industry and beyond. For a more visual reminder of the conference, please have a look at our webcasts and movies. We wish you all the best for the forthcoming holiday season and a happy and healthy year 2019! 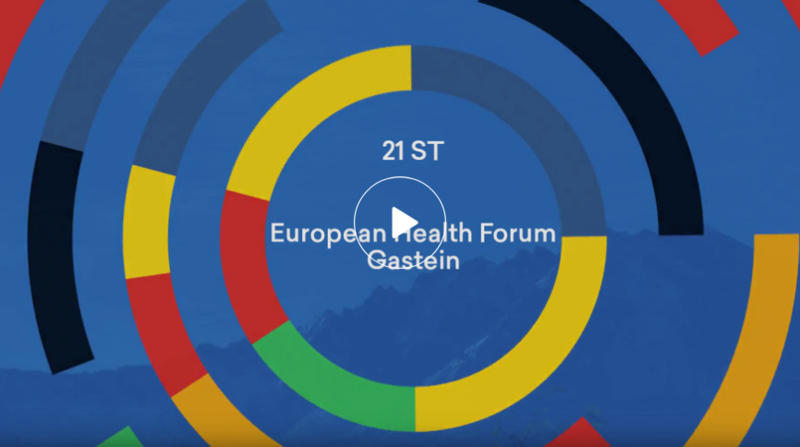 We are looking forward to welcoming you to the #EHFG2019 from 2nd to 4th October 2019! Check out the main theme 2019!